We are recovering from the whirlwind that is known as The Nutcracker. Both girls were cast in this year's performance (yeah, throw confetti), but with that comes some give and take. Every year I have this romantic notion of securing a Forest Service Permit to go hike into the woods and chop down a tree. I imagine us taking hours to find the most lovely imperfect tree to grace our house. But the reality is, we were picking up dinner at our neighborhood Whole Foods Market, and boom there were trees. The girls had ballet buns in their hair and leotards under their down jackets, when we said, sure pick one out! Squees followed when we said yes. 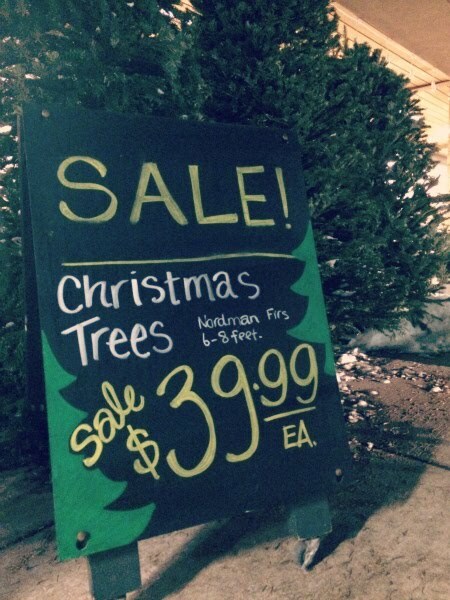 Before we knew it, we had chosen a Nordman Fir and up on our car it went! This year, I've decided after we get the lights put on, the girls will carry on the tradition of placing the ornaments. Win, win.